On Saturday, February 20, 2016, from 9:00-4:00, the Saint Benedict Forum hosted a Day of Study on the theme, "Homosexuality and Anthropology." The study day consisted of four papers, each of which addressed the question, "What does the virtue of chastity mean for the gay person?" Joshua Gonnerman, Daniel Mattson, Eve Tushnet, and Daniel Keating all offered 25 minute papers on this question. 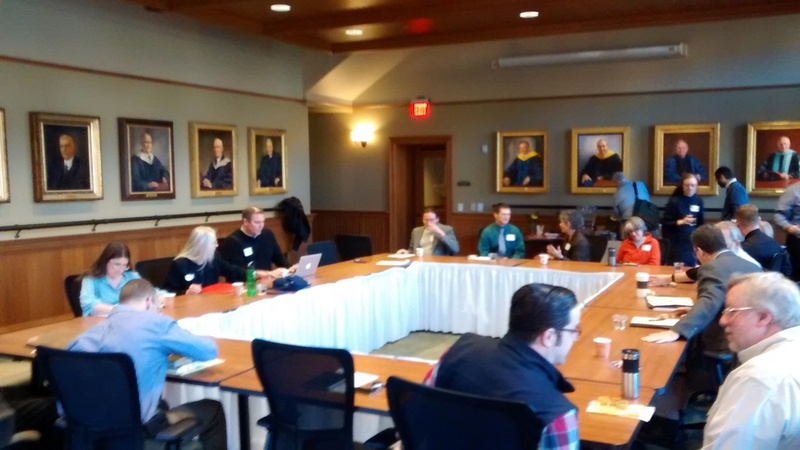 Each paper was followed by 30 minutes of conversation with the twenty invited "thoughtful interlocutors" from the region: priests, counselors, family and marriage therapists, chaplains, professors, artists, leaders from the Diocese of Grand Rapids, and religious sisters. It was a riveting day of fellowship and meaningful exchange.